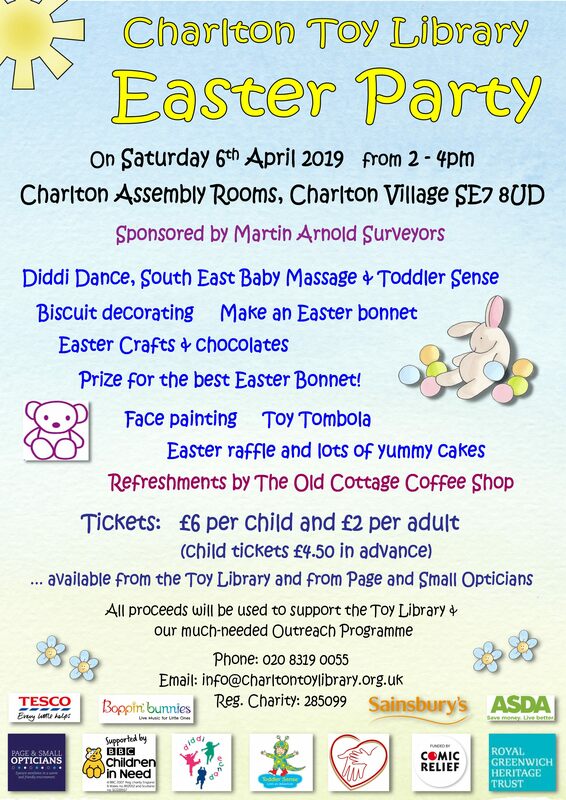 Charlton Toy Library are hosting an Easter Party fundraising event this Saturday, 6th April 2019, between 2-4 pm at Charlton Assembly Rooms. The Toy Library is a volunteer-run, independent organisation providing families with a place to come and meet other parents, play with their children or get advice, as well as running outreach services around the borough of Greenwich and some parts of Bexley. Tickets are £6 per child (£4.50 in advance), £2 per adult. The Assembly Rooms in Charlton Village have been given a Grade II listing by Historic England in recognition of the building’s special architectural and historic interest. Opened in 1881 and funded by Sir Spencer Maryon-Wilson, whose family lived at Charlton House, the building continues to function as a community facility and is currently run by the Royal Greenwich Heritage Trust. It was used by Siemens for war production before being handed over to St Luke’s Church in 1946. But by the early 1970s, the building was under threat of demolition. It was saved by the Save Charlton Assembly Rooms Project, which handed the building to Greenwich Council in 1983. * the exterior of the hall is little altered, and the interior retains its original plan and stage. * as an example of Victorian philanthropy, and the impact of a wealthy benefactor on community hall design. * with the Grade II* Church of St Luke with Holy Trinity, with which it shares some classically inspired design characteristics, and through C20 use and ownership. You can read more on the Historic England website. Meanwhile, Historic England has issued a “certificate of immunity” for one of the former Siemens factory blocks by the Thames Barrier, 18-32 Bowater Road, meaning it cannot be given a national listing in the next five years. Developer U+I plans to redevelop the site, keeping this building but demolishing adjacent 37 Bowater Road, as part of a scheme to build shops, offices and up to 520 homes. Both sites are locally listed by Greenwich Council. The Charlton Champion needs your support to provide news and information about issues and events in London SE7. Membership costs £15 per annum. 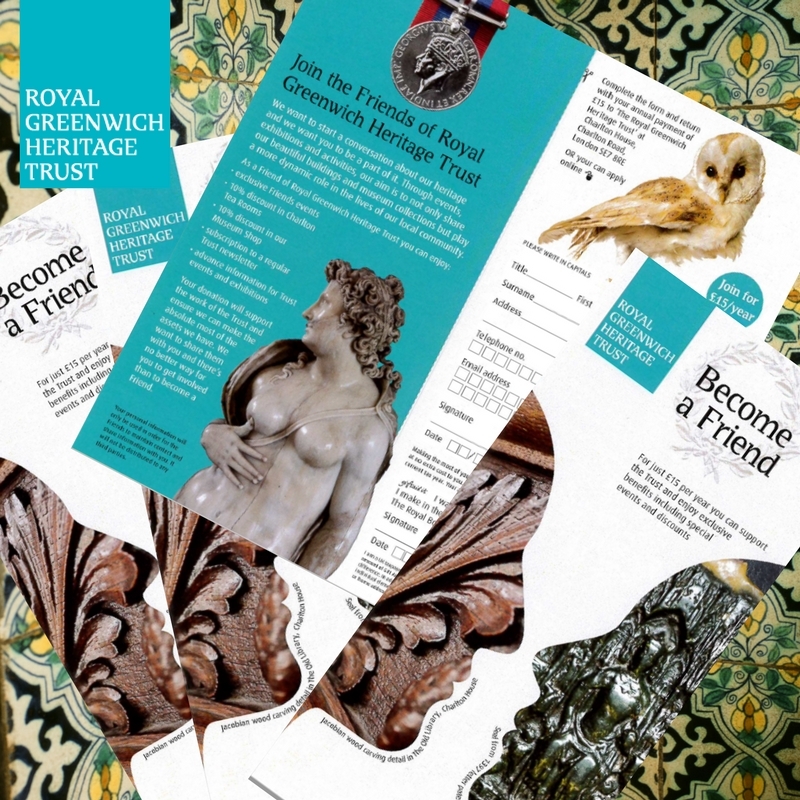 You can download their brochure here, and join the Friends of Royal Greenwich Heritage Trust here. If there’s anything you ever wanted to know about food or cooking, but didn’t know whom to ask, read on. Come and be part of the audience for The Kitchen Cabinet, BBC Radio 4’s culinary panel programme. Hosted by Jay Rayner the show is witty, fast-moving, and irreverent, but packed full of information that may well change the way you think about cooking. You’ll have the opportunity to put your questions on anything and everything to do with food and drink to a panel of experts, and enjoy plenty of good-humoured conversation about cooking and eating. To apply for tickets, visit bbc.co.uk/tickets.